Termite detection and active termite elimination are necessary evils that homeowners face when it comes to these wood destroying insects. 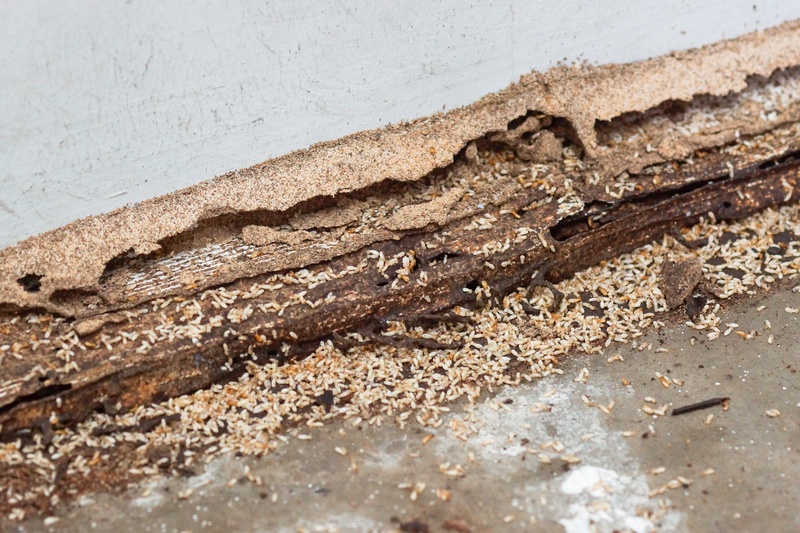 Termite infestations can be stressful and confusing with the amount of tips, tricks, and advice that's found across the internet. Cooper is here to make it simple for you to do research about termites from a trusted source. Do you have termites in your home? Or maybe you want to learn more about how termite services work. Our library of termite information will answer your questions. How Can I Protect My Home From Termites? Does Cooper provide home inspection reports for real estate transactions? Termites are a common occurrence in nature, and are constantly in search of additional food sources. Worker termites travel underground looking for fallen trees, decaying wood, plant debris, and other cellulose materials to consume and bring back to the colony. It is not uncommon to find termites in mulch or a nearby wood pile around your home. Improper moisture control, leaf litter, and direct wood-to-soil contact are all prime conditions that can promote termite activity on your property, often times within close proximity to your home. While foraging, worker termites will enter cracks in the foundation of your home, ultimately leading them to the wood within the structure. You see dead termites. Termite swarms happen very quickly in the springtime. 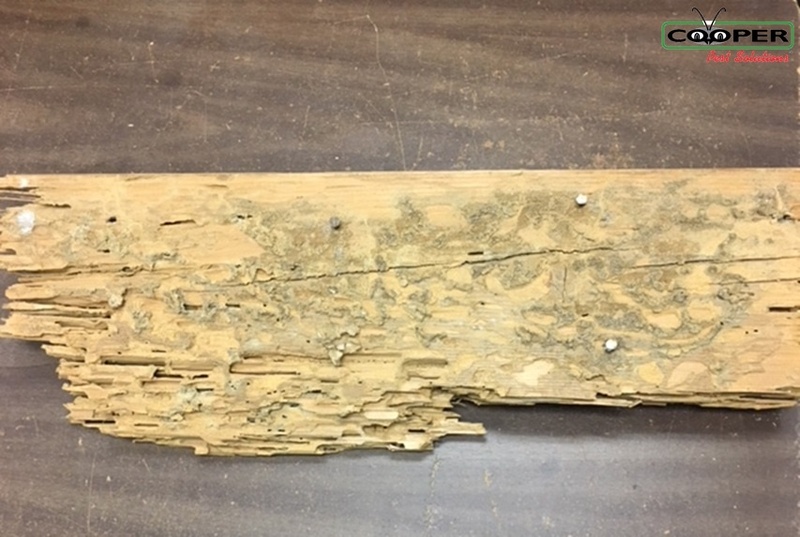 Since termites eat wood from the inside, you may see Hollowed wood. Mud tunnels. Termites build elaborate tunneling systems beneath the ground. Structural weakness which includes a “soft feeling” floor or ceiling. Cooper designed the TermAware™ Program to be the most comprehensive termite service that the industry has to offer. Our program addressed the limitations that are posed when either a liquid treatment or a baiting only system are used as the only means of control. Four quarterly visits from one of our termite experts who will provide a thorough inspection of the termite monitors and your home’s exterior during each visit. If Cooper detects Termites in a station or the house during one of our regular inspections, we will treat the problem as necessary and return monthly until the problem has been eliminated. 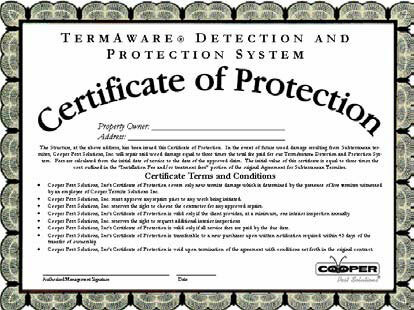 TermAware™ includes a transferable Certificate of Protection for as long as your own your home. TermAware™ incorporates the latest technology in termite detection with proven treatment products and methods to provide you an unparalleled level of control and peace of mind. The combination of liquid treatment and preventative monitoring will eliminate the threats that exist today and identify the threats of tomorrow. a year for at least a two year period to make sure that termites have not been active on your property. Sentricon® will kill termites before they can reach your home and do any damage, leaving you worry-free about the cost of additional services or repairs. Depending on your unique situation, there are several steps you can take to prevent or treat your home for termites. The TermAware™ monitoring program, which is exclusive to Cooper Pest Solutions, is a termite monitoring program that is designed to keep termites from initially infesting and damaging your home. After TermAware™ monitors are installed on your property, skilled technicians will inspect every monitor each spring, summer and fall. You will then receive written inspection reports with each visit. In the winter, technicians will inspect the interior of your home for any signs that termites have made it past the sensors undetected. If termite activity is determined, Cooper will respond immediately with appropriate treatment. With a proactive TermAware™ service, you will receive coverage for any future termite problems once Cooper has ascertained that there are no pre-existing conditions. If you currently have termite activity, you have a few different service options on how to address the infestation. The Sentricon® baiting station service is a great option for properties that cannot, or do not want to use the traditional liquid termite treatments due to various restrictions. Your home may qualify to receive the traditional liquid termite treatment. This treatment entails having our skilled technicians trench and rod the ground around the exterior of your home, as well as drill through concrete that is against the home. Termiticide will then be distributed in the ground around the perimeter of the home and adjacent to the foundation. Ongoing monitoring is key for detecting and preventing future infestations with termites. You can use either Sentricon® Monitoring service or continuation of Cooper Pest Solutions’ exclusive proactive TermAware™ program. Our skilled technicians understand the importance of monitors when it comes to termites. By utilizing current research from leading industry experts, our technicians have the knowledge of what the most successful treatment and preventative protocols are for termites. Exclusively through the TermAware™ program, you can receive a TermAware™ Certificate of Protection valid six months after initial treatment. The protection is valid as long as the TermAware™ monitoring program is in effect. The TermAware™ Certificate of Protection serves as insurance against termite damage that may occur from a new termite infestation and will cover necessary home repairs. There are four key differences between flying ants and termites. 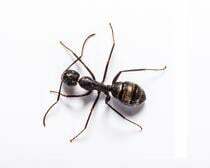 Flying Ants have a pinched waist and elbowed antennae, which often has them being mistaken for termites. They also have two sets of wings, which one set is larger than the second. Termites, however, have a straight antennae and their wing sets are of equal length. They also have more of a tubular, thick waist. 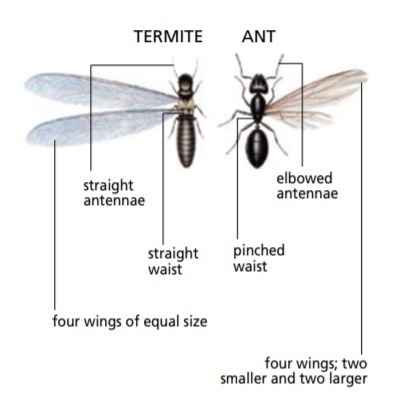 Another major difference is that termites lose their wings readily, shedding them onto the ground, whereas the wings on ants typically remain attached to the insect’s body. The table below illustrates the three significant differences among the two pests. Unless you are already enrolled in our termite monitoring program, unfortunately, the answer is no. The reason we do not provide this service is that we believe that to successfully inspect for termites, we need to monitor for termites that are not visible, or that may be lurking around your home. To do this effectively, we need to install our monitoring system for a minimum of 4 warm months before we can say that there is no pre-existing termite condition. However, if the seller is willing to provide the buyer with a 4-month window during the early spring and summer to allow us to monitor for termites, then we will gladly perform this service. The problem is that in most cases the real estate transaction does not allow for the buyer to monitor the property for an extended period of time and sellers definitely don’t want us to find termites on their property which could result in them being liable for repairs to the home and potentially having the buyer back out of the deal. WHY CHOOSE COOPER FOR TERMITE MONITORING AND ELIMINATION? All of our services are 100% guaranteed. We deliver what we promise or your money back.